A Republic…if you can keep it…. That’s how Benjamin Franklin responded to a question asking what kind of government the Constitutional Convention of 1787 created. The ancient Greeks and Romans tried something similar and it ended in dictatorship and collapse, as increased prosperity dulled the lessons of the past and the virtues that built prosperity. Entitlement, grievance, factionalism, debt, and disunity killed those attempts at empowerment of the people. But Franklin and his fellow Founders thought America could be different (the motto of the great seal of the fledgling United States: “Novus Ordo Seclorum” – “A New Order of the Ages”). Their constitution, the first written one in history, limited government and made clear that the people were the source of its power. For this experiment in popular sovereignty to succeed, however, the people would need to be virtuous in word and deed. Honesty, thrift, devotion to hard work, service for the common good, love of country, and a solemn respect for and gratitude to the Almighty for liberty’s blessings had to be taught and reinforced. Over 230 years, this approach has yielded spectacular successes. No nation in history has been as prosperous at home or liberated as many abroad. But our contemporary challenges are mounting and our sense of virtuous purpose is in question. 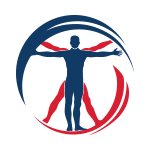 Rather than debate the symptoms of our national malady, our preference is to focus on the cure. 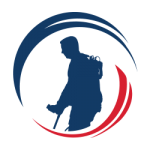 We are SoldierStrong, a not-for-profit created to purchase and put in-place the most technologically sophisticated and effective rehabilitative mechanisms to help those heroes who have sustained catastrophic spinal chord injuries while defending our nation. Though our first priority is to raise funds to purchase exoskeletal rehab suits for use by injured vets, we’ll be writing in this space to raise important lessons from our national past to keep strong our shared virtues and the patriotism necessary to win the future. 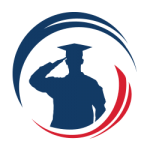 Thanks for reading, please let us know your thoughts, and we hope you stay with us as our mission for our veterans and our nation continues. Our next essay will consider “Our Lives, Our Fortunes, and Our Sacred Honor” – The Founders on Character and Virtue and what it should mean to us today. See you then!